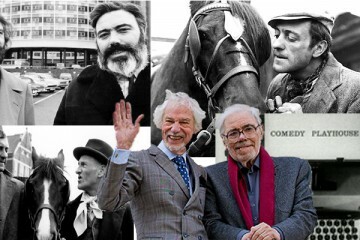 To celebrate 60 years since the original transmission of Hancock’s Half Hour, we spoke to legendary script writers Ray Galton and Alan Simpson. We discussed the origins of Hancock’s Half Hour, the TV series that followed and the final Hancock series. 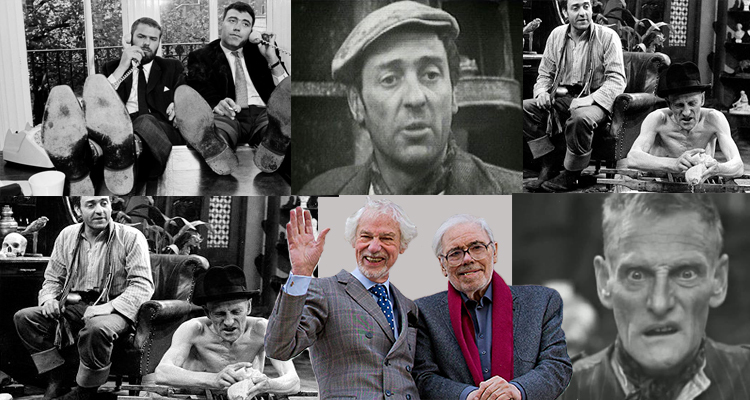 We also discussed Comedy Playhouse, but deliberately left out the interview that followed as there was another very important anniverasry to remember, it is 40 years this year (2014) since the final episode of Steptoe and Son was broadcast. 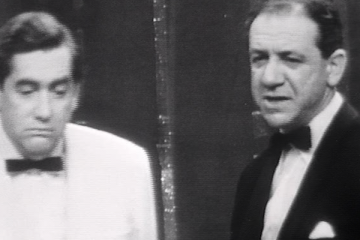 In this first part the writers discuss how this now iconic sitcom came about and how it almost didn’t ! BCC: You told us earlier how you were enjoying the freedom of writing one offs for Comedy Playhouse, so how did Steptoe make it to a full series? G&S: That’s right, we weren’t thinking of a series, we were just enjoying the one offs. 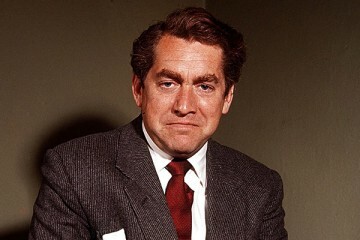 Tom Sloan, Head of Light Entertainment at the BBC realised the potential in Steptoe and asked us to write a full series. We said NO and they kept on to us for about six months before we finally agreed to do a full series. We agreed conditional upon using straight actors in the parts as they counted the lines not the laughs. 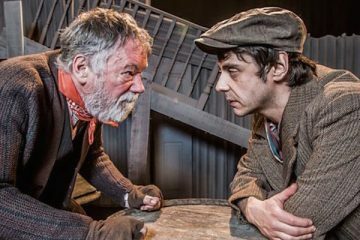 BCC: The story of the inspiration behind Steptoe and Son is well known, where did you get the idea for the characters? G&S: When we couldn’t think of anything we used to amuse ourselves by coming up with ludicrous combinations i.e. two rat catchers at Buckingham Palace. Ray: I said “rag and bone men riding down Piccadilly” Alan thought I was joking but three hours later and nothing had come to mind. Alan said “what about those two rag and bone men?” so we started writing. Alan: We wrote ten pages of dialogue about two men 1 and 2 arguing. It wasn’t until page 11 we decided that they were Father and Son. That’s what made the show, the son 37 trapped at home with life passing him by. Ray: And so Steptoe was born. 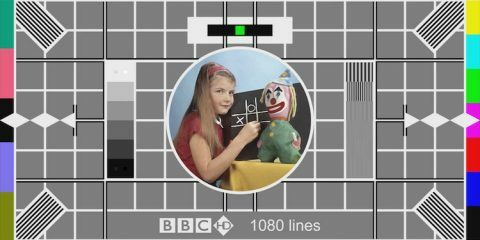 BCC: There is the story that one of the draws for the BBC was the simple sets, making the show cheaper to produce. 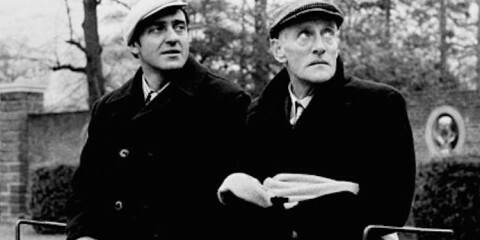 G&S: No, but we did hear later that money was a draw as Harry H. Corbett and Wilfrid Brambell were paid for the pilot under drama rates which were far lower than Light Entertainment rates, which they were offered for a series. Naturally they jumped at it. 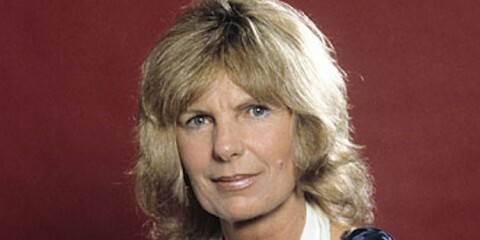 BCC: Do you remember the reaction to that first series? BCC: Did you have a say in the casting ? G&S: Yeah, we picked Harry as he was the Marlon Brando of his day, everybody wanted to work with him. He’d never done comedy before, we thought he’d be good. Wilfrid Brambell specialised in playing old men, he was 50 when we started, playing a 65 year old. When we did the first recording it was all over in a day, we had an idea of what we thought the set would look like, when we saw the actual set we were knocked out ! Harry saw the set and the audience seats, he hadn’t realised there was an audience involved and said “I’ll have to re-think my entire performance” you see he was a method actor as opposed to Wilfrid who was a traditional classical actor. Join us tomorrow for Galton and Simpson’s Perfect Christmas as they talk more Steptoe abd look back at that final episode 40 years ago to the day.